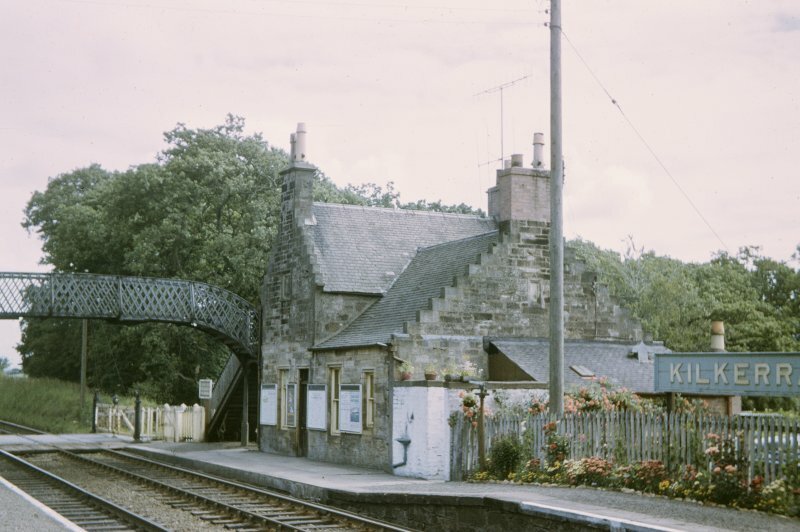 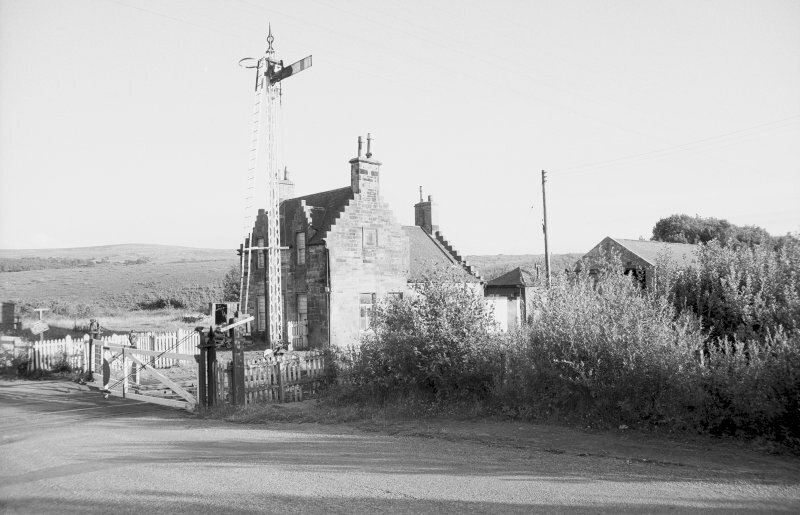 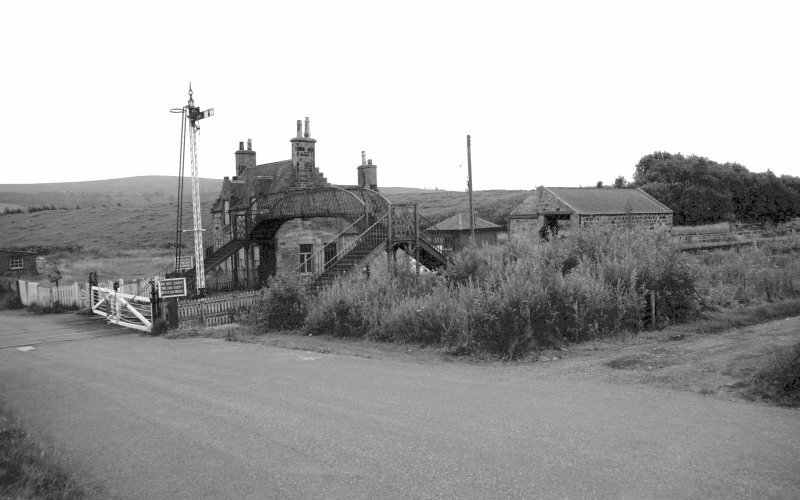 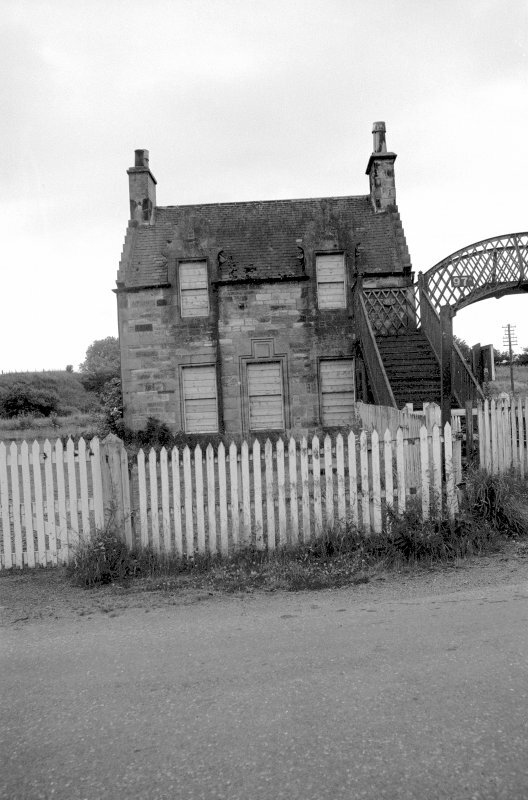 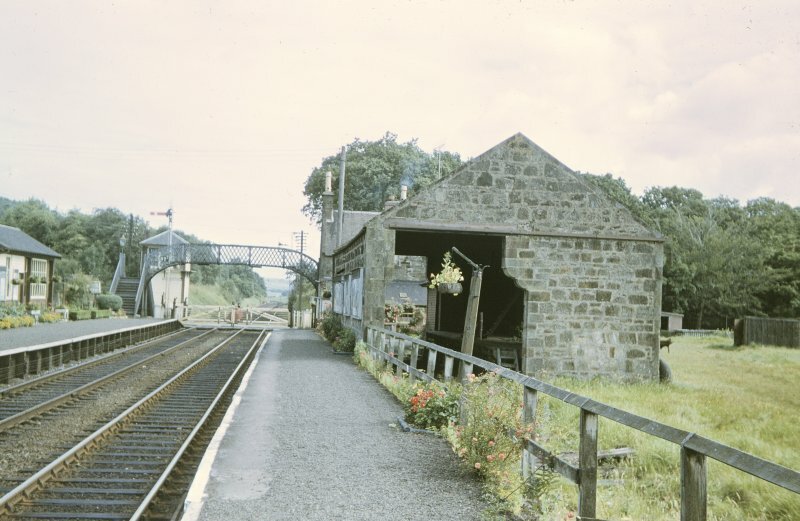 (Location cited as NS 297 043) Kilkerran Station, opened 1860 by the Maybole & Girvan Railway. 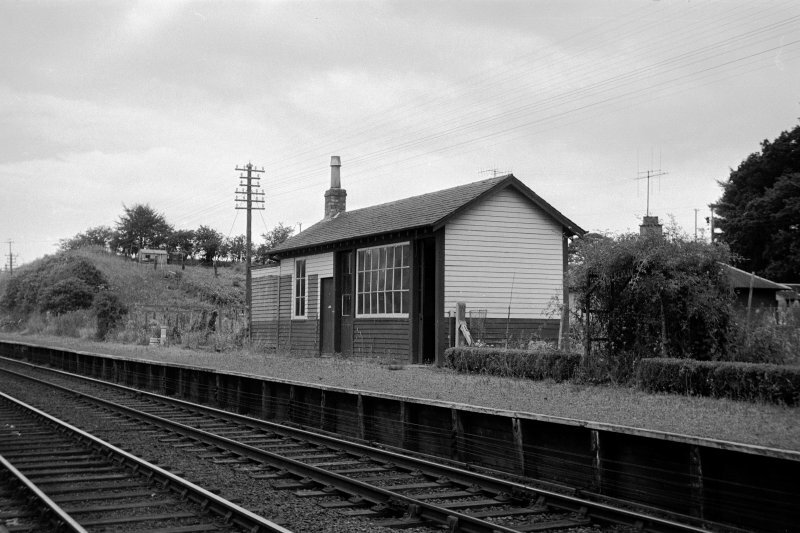 Formerly a 2-platform through station, with the main offices on the down platform. 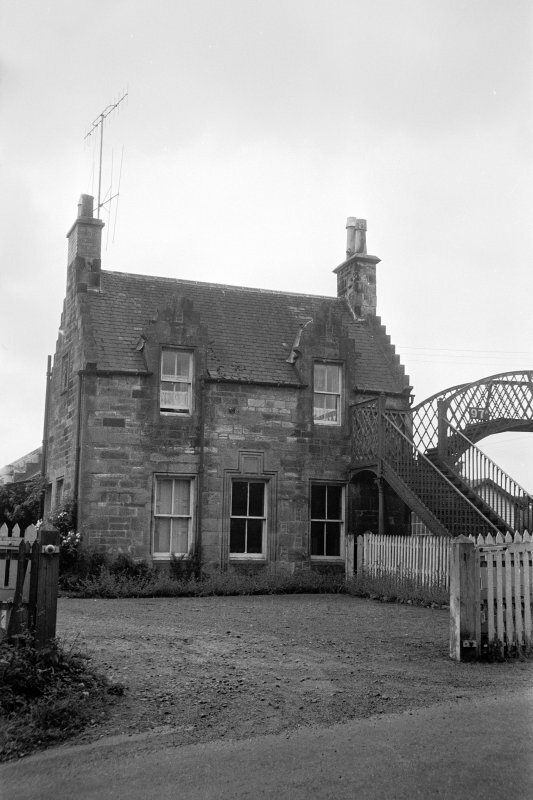 These were in a 1- and 2-storey rubble building, on an L plan, incorporating a dwellinghouse, with crow-stepped gables. 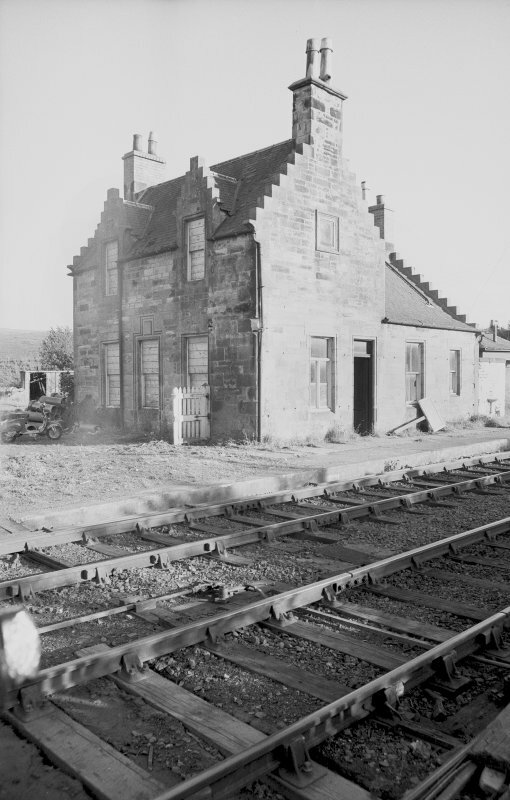 The rubble goods shed also survives, as does the signal-box of typical Glasgow and South Western wooden pattern. 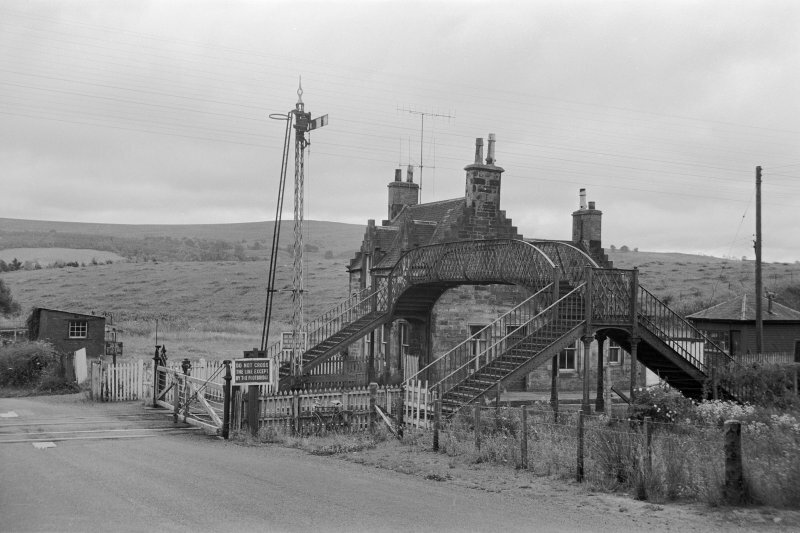 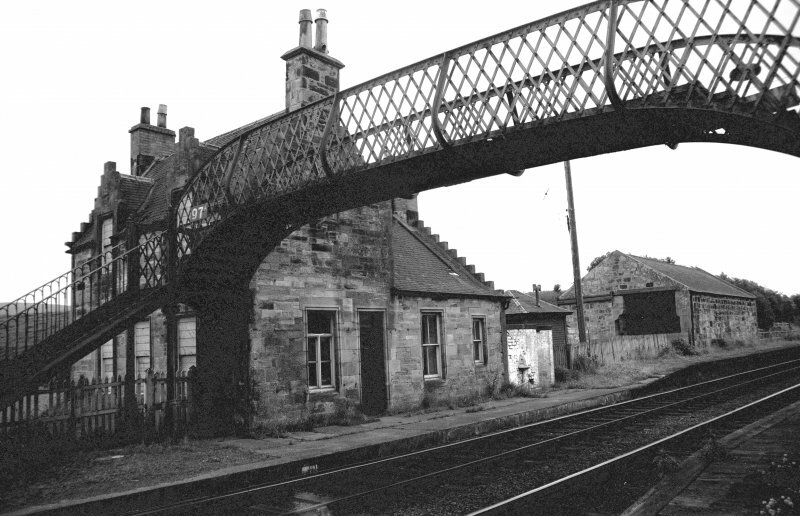 This intermediate station on the Glasgow - Ayr - Girvan - Stranraer (main) line of the former Glasgow and South Western Rly was opened (by the Maybole and Girvan Rly) on 24 May 1860. 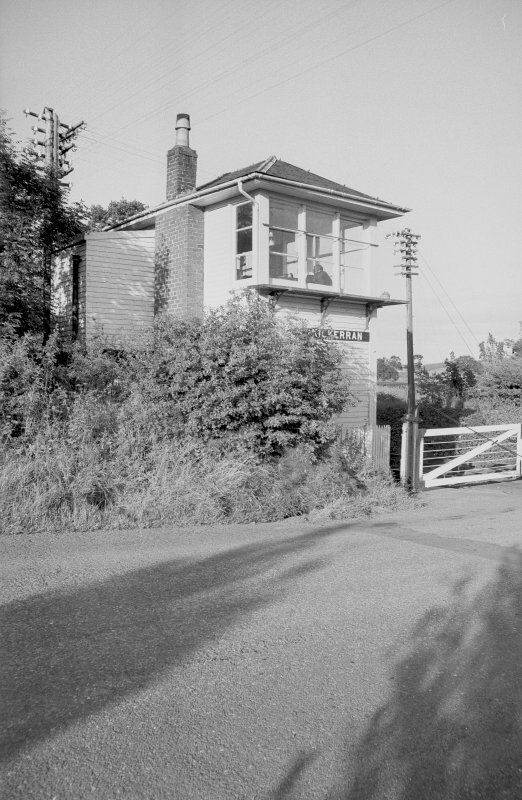 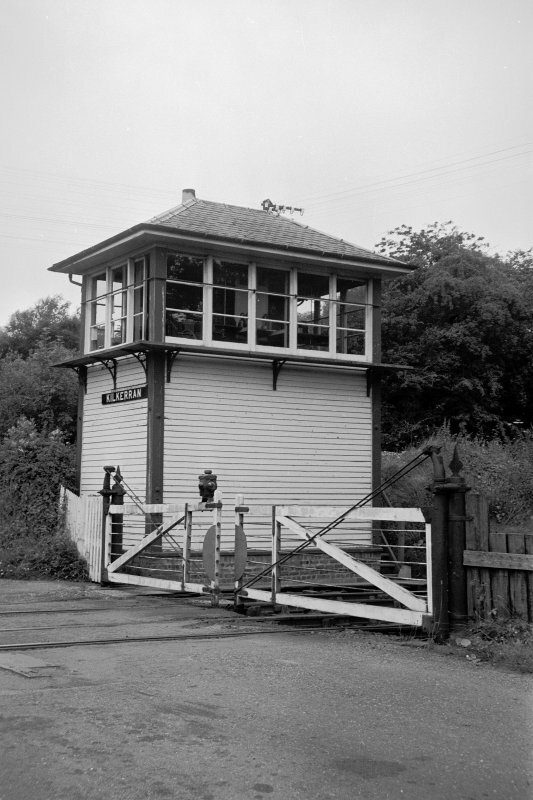 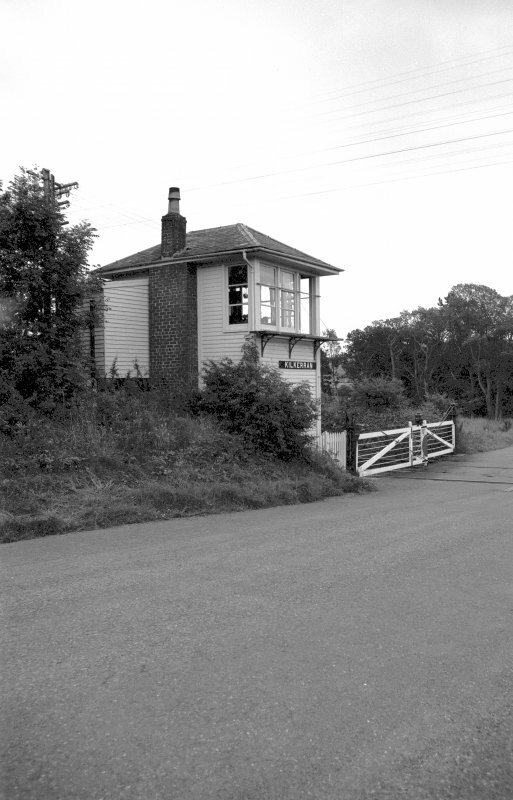 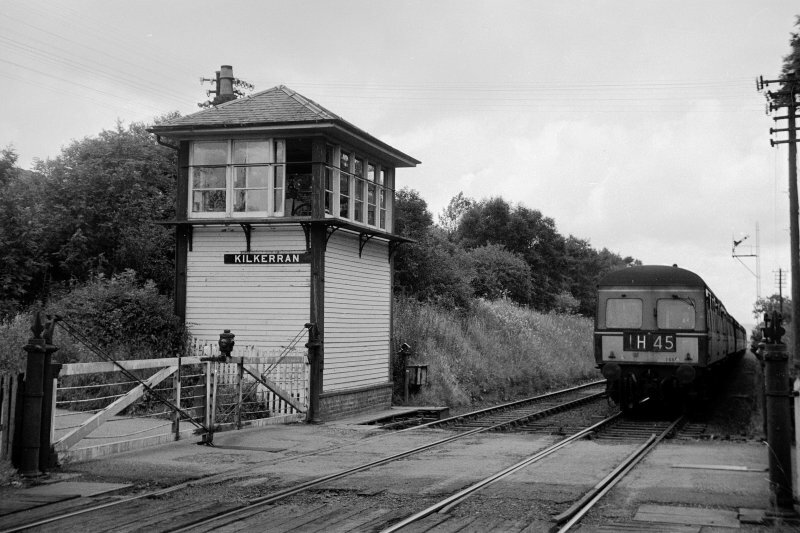 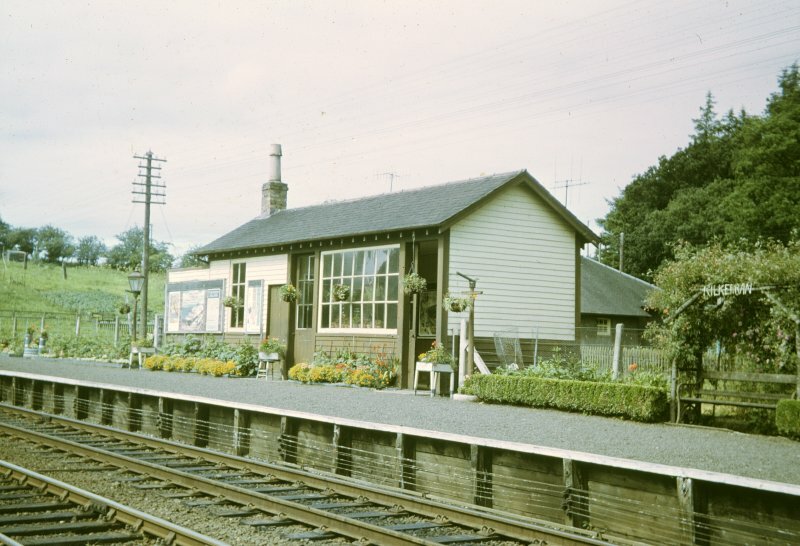 It closed to regular passenger traffic on 6 September 1965, the line remaining open. 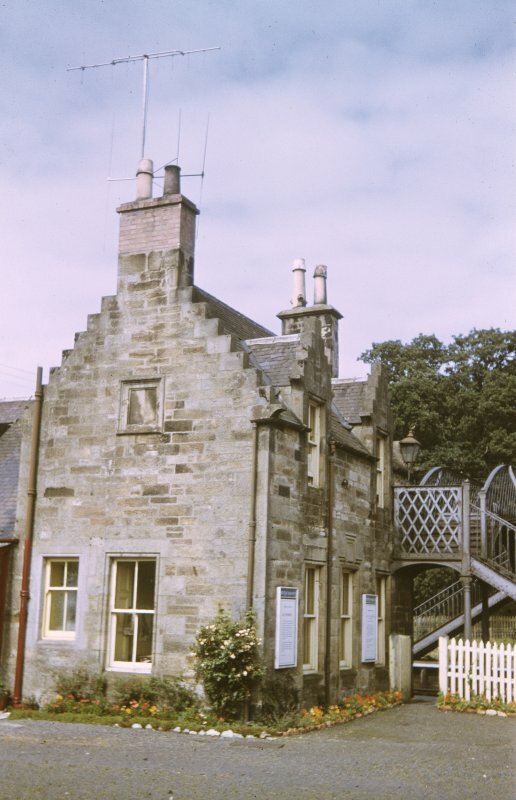 Information from RCAHMS (RJCM), 17 July 2009.